My favorite time of the year is about to come. Unlike the previous years, the excitement and giddiness cannot thrive in my system. Much of it is attributed to my selfish struggle of dealing with grown up issues. But as always, life has to go on. Hence this post. The few photos will relate how my life has been going this week. The merry atmosphere is starting to proliferate everywhere. 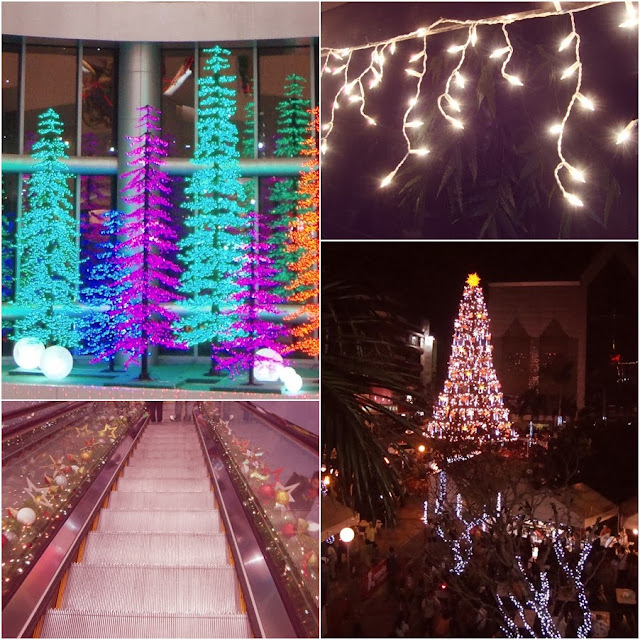 It may look festive in Manila but most people here are still affected and worried for our fellowmen in the South. In response to this, most companies in Manila decided to forgo their Christmas parties. In exchange for the extravagant celebration, they opted to donate their funds for rebuilding the affected provinces in the South. I was hoping that our company will also implement the same practice. My prayers have been heard because a few colleagues are starting to organize a similar endeavor. 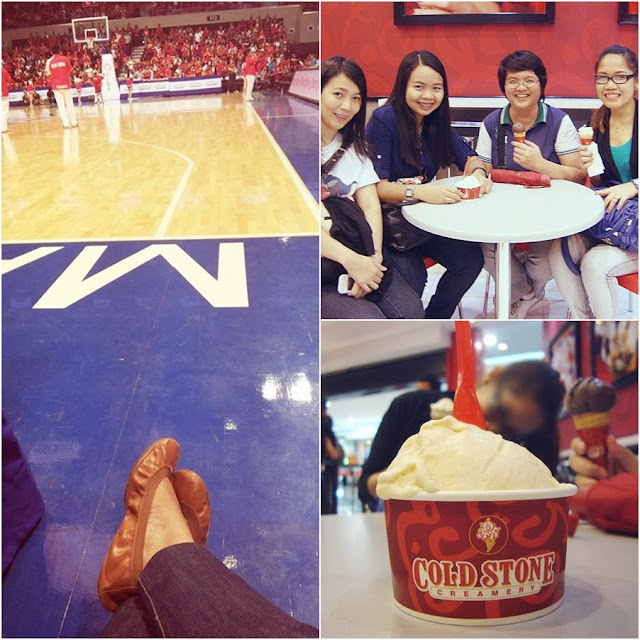 Before typhoon Yolanda landed in my country, half of the past week was spent watching live basketball games. Our school made it to this season's basketball championship. This does not happen everyday so off we left our workstations to support our team. This support however comes in a little hefty price of purchasing tickets that drained my weekly budget. Unfortunately, our team failed to capture the 17th championship title. We may not have won but I have special memories to keep for this season. On Game 2 of the series, we were fortunate to score courtside tickets!! It was my first time to watch a basketball game inside the real court. Yes, it is indeed thriving her in Cebu as well. Thanks for all your prayers. Very good idea, the donations from Christmas parties. It would make me feel guilty having a Christmas party when the money could go into helping the typhoon victims. They will not be having a Christmas for a long time. Coldstone ice cream is here as well and is my favorite! How Christ-like you are to give up your party and help others. Blessings. Wow, looks like I missed a couple posts. For some reason some blogs, including yours, don't update in my feed. It really looks Christmassy at your place :) Love it!